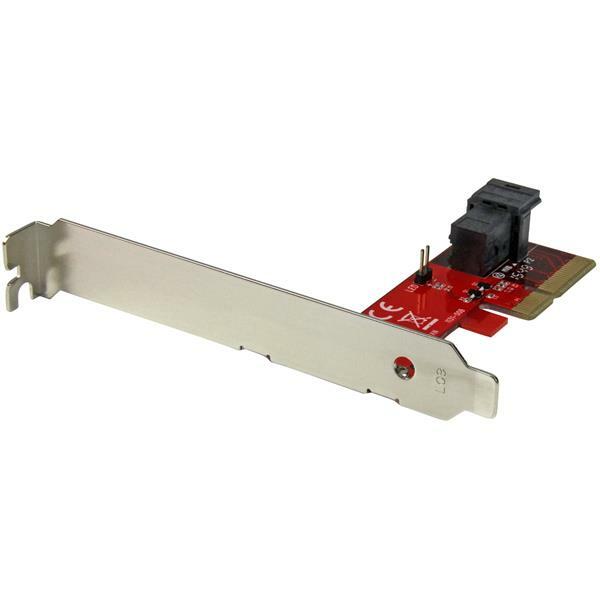 Unleash the performance of your desktop PC or server with this enterprise-class drive adapter. By providing compatibility with newer U.2 NVMe SSDs, such as the Intel® SSD 750 series, you can gain faster read/write speeds and higher productivity levels for data-intensive applications. This drive adapter provides an ideal way to upgrade legacy motherboard platforms and your existing computer system, by adding compatibility for newer U.2 NVMe SSDs, which are designed to meet the high-performance needs of today’s data centers and enterprise-level applications. 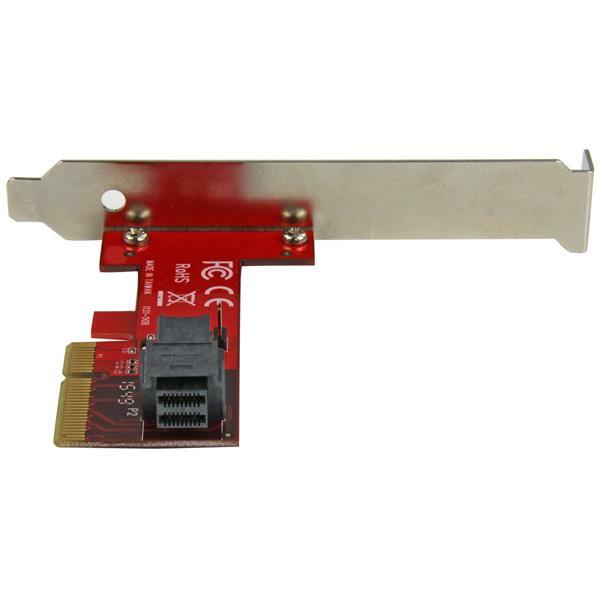 The adapter card enables IT professionals and system integrators to upgrade their computing infrastructure by installing the adapter card into the PCIe slots on desktop PCs or servers. Upgrading, rather than replacing computing infrastructure, provides a cost-effective way to enhance your system’s performance. U.2 NVMe SSDs also offer superior energy efficiency, providing an advantage to companies looking to reduce energy costs. Companies and organizations with intensive file workloads can achieve greater productivity by upgrading their data center or enterprise-level applications with U.2 NVMe SSD capability. U.2 SSDs are up to four times faster than SATA SSDs, providing extremely fast read/write speeds, high-speed file access and transfers, and rapid boot times. U.2 NVMe SSDs are also more reliable than SATA hard drives, so less time is spent waiting for computers to boot, or applications and files to load. Through U.2 NVMe SSD capability, the drive adapter brings enhanced productivity for numerous data-heavy applications. Office professionals, from architects and engineers to healthcare professionals, can quickly access and edit large documents, spreadsheets, or 3D models and renderings. Creative professionals, including content creators and graphic designers, can work more productively on photo editing, video production and editing of large image or audio files. The drive adapter also saves time for gaming enthusiasts, with much faster launch times and level changes. The U.2 SSD adapter lets you add a PCIe NVMe 2.5 in. SSD to a computer system that doesn’t natively support U.2 PCIe NVMe. 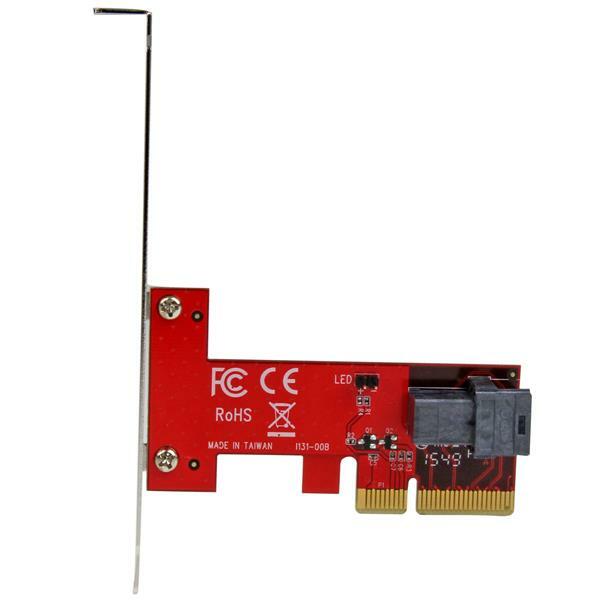 The adapter simply connects to your computer’s 4-lane or greater PCI Express slot and enables you to connect a U.2 SSD to your PC through the provided SFF-8643 interface, using an SFF-8643 to U.2 cable. The PCIe 2.5 in. NVMe SSD adapter is compatible with PCIe 3.0 and PCIe 2.0 motherboards. The drive adapter comes with a full-profile bracket (preinstalled), and also includes a low-profile bracket that makes it easy to install the card in a small form-factor computer. The PEX4SFF8643 is backed by a 2-year StarTech.com warranty and free lifetime technical support. Are there any hard drives or motherboards that are incompatible with this hard drive adapter? There are no known incompatibilities between this hard drive adapter and any SSDs or motherboards; however, certain SSDs and motherboards may be incompatible with each other. Before you use an SSD and motherboard together, you should check with the SSD and motherboard manufacturers for any potential compatibility issues. For example, the Intel 750 series SSD may not work as expected when you use it with certain motherboards. For more information, refer to the Intel documentation for the 750 series located here: www.intel.com/content/www/us/en/support/solid-state-drives/consumer-ssds/000005729.html. Will this hard drive adapter allow me to boot an operating system from my hard drive? You can use this hard drive adapter to boot an operating system from; however, depending on the SSD and motherboard that you are using, you may need to update the driver or BIOS in order for the hard drive to be seen when you initially boot the operating system. If you experience issues when you use the hard drive adapter to boot an operating system, check with the manufacturers of the SSD and motherboard for updates. You should also check to make sure that the SSD and motherboard are compatible. For more information, refer to the following FAQ: https://www.startech.com/faq/hard_drive_accessories_m2_u2_compatibility. Although M.2 SSDs come in similar form factors, only an M.2 PCIe drive with an M.2 NGFF M key will operate with this device. 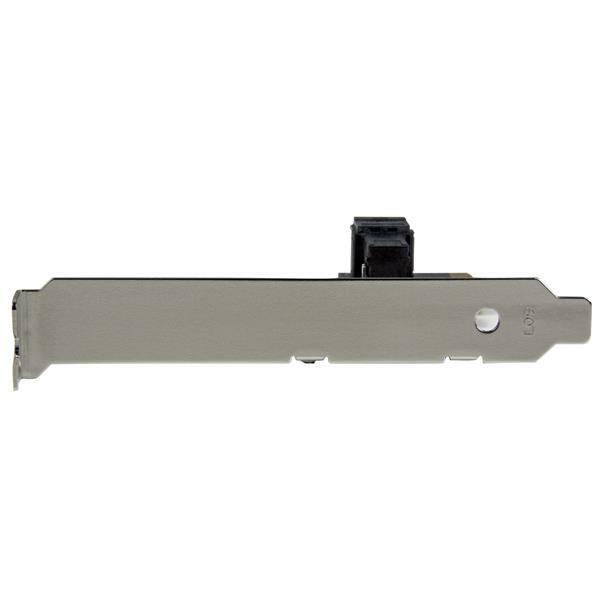 M.2 drives that are SATA or drives that have a different key position are not compatible with this device. This device can adapt an M.2 PCIe drive to connect to PCIe connections, which is not possible for a SATA based M.2 drive. The key type refers to the connector type on the M.2 PCIe drive, and the M key can only be M.2 PCIe. It is important to check the specifications of the drive to see if it supports PCIe M key. Does this hard drive adapter require me to install drivers or perform any other setup tasks? This hard drive adapter is plug and play. You do not need to install any drivers or complete any additional setup tasks other than installing it in your computer and connecting a compatible SSD. Note: Depending on the SSD you are using, you may need to install drivers, update firmware, or update the motherboard’s BIOS. Refer to the manufacturer of your SSD or motherboard for more information.